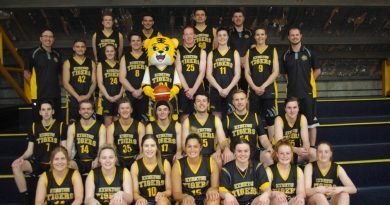 Campbells Creek FNC Junior Come and Try Afternoon is being held at the Campbells Creek FNC Oval on Friday April 12 from 3pm-5pm. 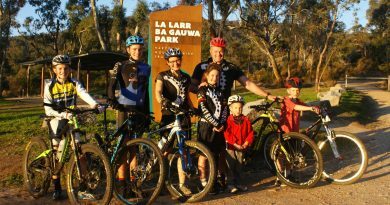 It is being held by The Campbells Creek FNC in conjunction with AFL Goldfields and will be great fun and include giveaways for all the kids on behalf of the Western Bulldogs and AFL Goldfields. 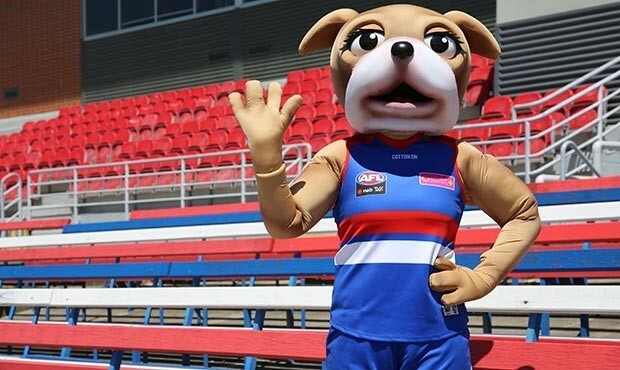 Plus the AFL Bulldogs Mascot (pictured) will be in attendance. Go down and meet him. There will be footy clinic conducted by AFL Goldfields staff plus a barbecue will also be on the go. It is free to register to sign up and play for the Campbells Creek Junior FC this season – you can register on the day! 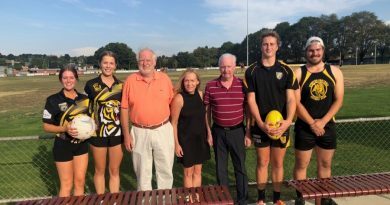 From left: Maddie Copeland (netballer), Bed Ingleton (netballer), Ian Jackson (RSL treasurer), Karen O'Sullivan, Mike Gretton (secretary) Evan Davie (U18 player) Hayden Clapham ( U18 player) at the cheque handover to rid the KFNC of its lighting debt.